300 (and 1) Blog Posts on A Geeky Gal! 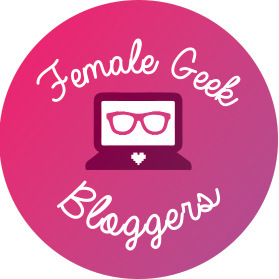 April 3, 2019 April 2, 2019 by Megan // A Geeky Gal12 Comments on 300 (and 1) Blog Posts on A Geeky Gal! Say hello to lucky post number 301! That’s right; Monday’s post was the 300th post on A Geeky Gal. I didn’t want to deviate from my blog post schedule so I hope you’ll forgive me that this is number 301 and not 300. Can you believe there’s over 300 posts on this little blog of mine now?! THREE HUNDRED!